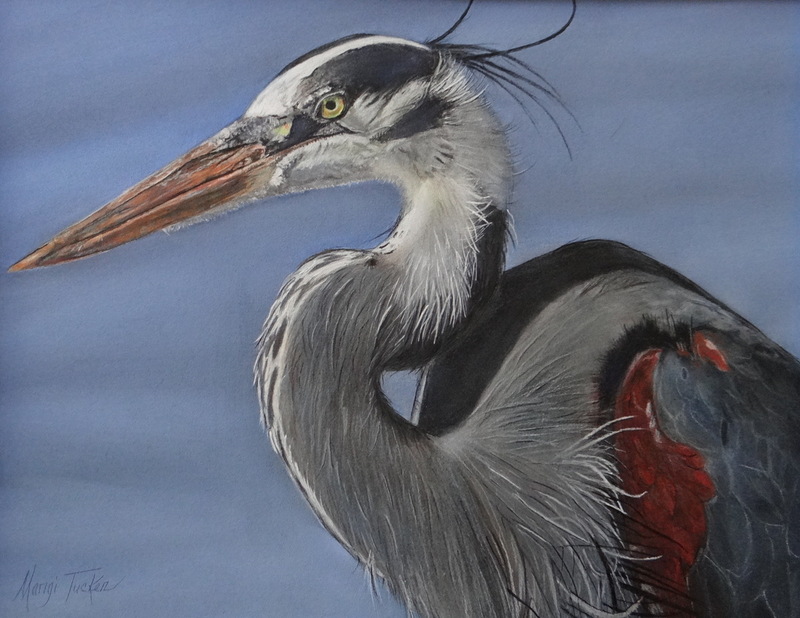 Blue Heron. The photograph for this heron was up close and personal as he was eating my bait while I was fishing.. The heron is one of the most beautiful birds alive. They are not endangered yet but are seriously competing with urban growth. This painting won the Mary Ellen Pitts Pastel Award at the 2017 Thomas Hart Benton Show in Neosho, Missouri. 6" x 7.75"7" x 9"8" x 10"8" x 10.25"9" x 11.75"11.5" x 15"